When a new dry cleaning place opened up in my neighborhood, I decided it was the perfect opportunity to try out a British accent. Just because. I was apparently quite convincing--but then the dry cleaning guy wouldn't stop asking me questions about London. Each time I came in, he wanted to know more about my "hometown." I was running out of fun facts which I'd picked up on my trip. So I had to find a new dry cleaner. I'm probably the only person to switch dry cleaners because of a fake accent. Speaking of London, my sister and I recently took a trip to the UK. We took the requisite amount of pictures, of course, but I didn't want to be a boring tourist,"duck-facing" in Trafalgar Square. So we titled the album "Weird poses in famous places." We got some surprised looks, sure. Apparently no one had ever squatted next to the guard at the Sherlock Holmes Museum. But he loved it. And it was fun as hell. I took a flying lesson and flew a small Cesna. That doesn't sound so random unless you know me. I have a crippling fear of airplanes. (I'm the "plan-my-funeral-every-time-I-get-on-a-plane" type.) The flying lesson was my husband's idea of a birthday present. So the "random" points should really go to him. Still, I went through with it-- shaking like a leaf and covered in sweat. Eight years ago I adopted a rescue mutt despite my dislike of dogs. (I'm more of a cat person). Toby is now the fattest, most spoiled dog in the city. I was the quietest, shyest kid in elementary school. 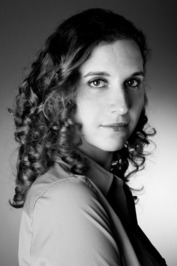 (As the eldest daughter of new immigrants, my knowledge of English was quite limited at first.) So I never spoke in class. Except once. When the teacher asked us to finish the sentence: "We are all---" instead of giving a respectable answer like "children" or "Americans," I chose to yell out "IDIOTS!" at the top of my lungs. That was the first time I spoke, and the first time I was sent to the principal's office. The second time I was sent to the principal's office was later that same year. The substitute teacher had pretty much lost control of the class. Everyone was out of their seats, talking and messing around. I was still not comfortable with talking to people (language issues again.) So I decided to contribute to the chaos by planking on my chair and pretending to be an airplane. (I had not yet developed my fear of airplanes, real or imagined.) I don't think the principal appreciated my imaginary transatlantic flight, or that I was twenty years ahead of my time, planking-wise. Ten years ago, I took my first trip to London. It was a Sherlock Holmes pilgrimage, during which I wandered the city and took endless pictures of every street and landmark mentioned in Doyle's stories. I even took a train down to Beachy Head to photograph Holmes's fictional retirement spot. Okay, maybe that's not so random---maybe it's just bat-crap crazy. But it was the best four days ever. And I did it alone because I didn't want to torture a companion with my personal obsession. So who cares if it was a little nuts? I took a painting class without reading the brochure first. When the male model took his clothes off and spread out over a chaise, I ducked behind my canvas. I'm a doctor by trade so I'm used to seeing naked dudes. But I've never had to STARE at one for hours at a time. Painting didn't work out for me. So I wrote a novel instead. I had no intention of publishing it, or even showing it to another person. Until, one day, I changed my mind. Thank you for reading! Thanks to Sourcebooks Fire I have a copy of the book to give away to one lucky reader! 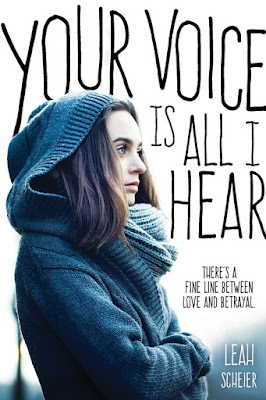 ONE winner will receive a hardcover copy of Your Voice Is All I Hear by Leah Scheier! Must have a U.S. mailing address to enter the giveaway. Must be 14 years old or have permission from a parent or guardian to enter. You must follow all rules for any entry that you submit on the Rafflecopter in order to avoid having all of your entries disqualified. Each entry will explain the requirements to earn the point for that entry.